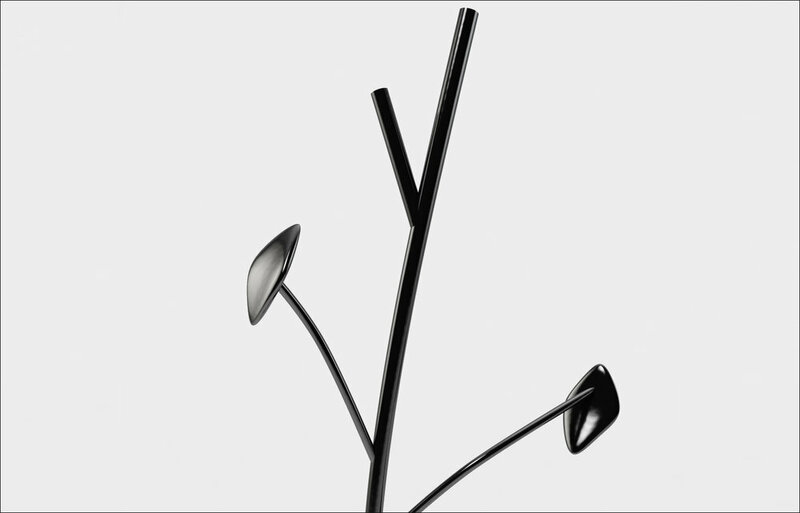 An organic object that take inspiration from the shape of a plant that grow up from the ground. 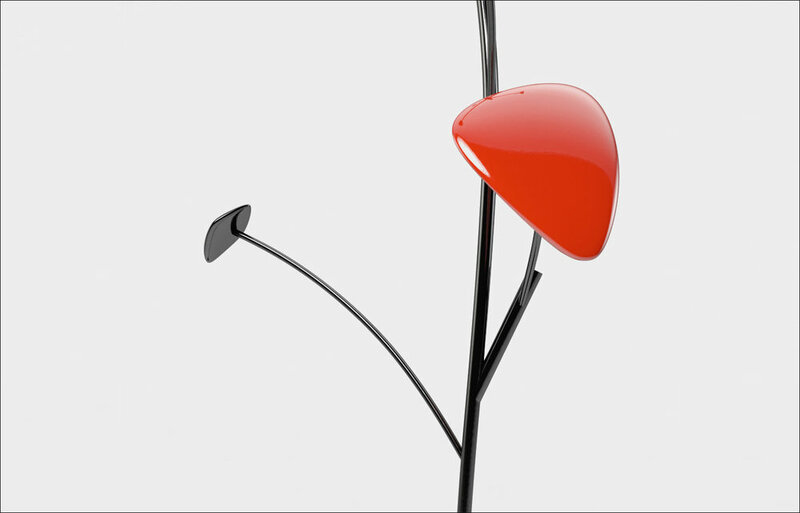 Lacquered iron, in three different colors, Edera is a free standing hanger. When I first saw Simone’s coat rack I immediately saw an Alexander Calder mobile in reverse. Meaning instead of hanging down from the ceiling it was stretching up from the floor. 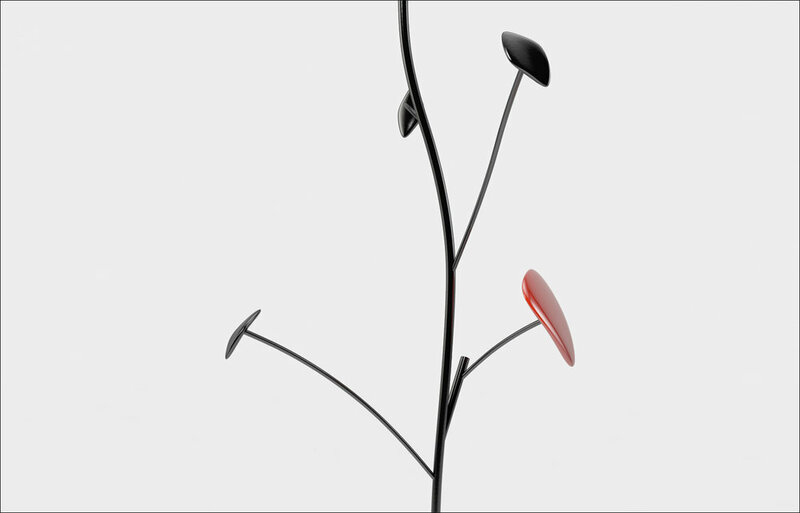 The reason I thought of Calder was the way he would create some of his mobiles in solid colours with the infusion of one pop of colour – much the same way as the black Edera does. Also the way the ends of the branches are finished with curved flat shapes is also reminiscent of Calder and I like to think of Edera as paying homage to him. Alexander Calder was the originator of the mobile and is one of my top three artist muses and I love the similarities.